In this assignment, there is covered the use of information and communication technology in the business environment. These applications covered various dilemmas which are faced by the business and various measures to overcome them are given. The applicability of this criterion is mentioned with the help of considering the scenario. Information and communication technology involves the technology which provides access to information through telecommunication. It basically focuses on the technology related to the communication. There is used various mediums in it such as cell phones, Internet, etc. There is involved various ethical issues which are faced by Information Communication technology. These issues cover issues related to the privacy, invasion of individuals, various rights related to individual and society, etc. If these issues are not taken care by the organization then it will lead to developing serious problems in the industry which also decreases its reputation and privacy policies. In today's environment, there is a continuous pace in the Information and communication technology industries as companies prefer to work with the advanced technologies to enhance its business growth and profits (Prajogo and Olhager, 2012). 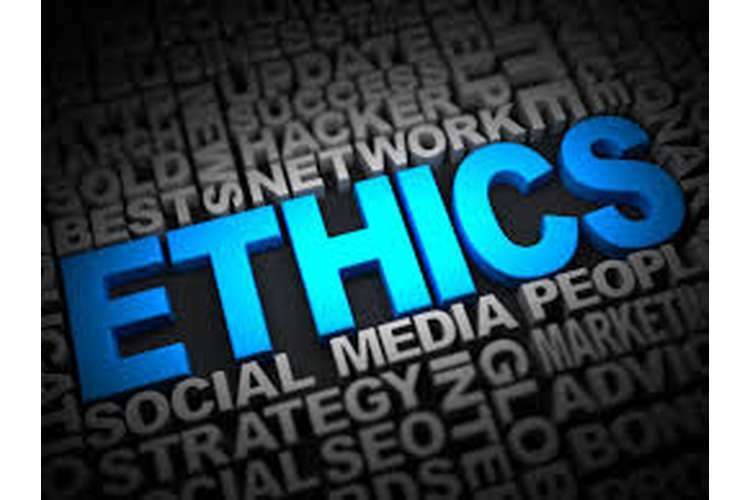 The implications of ethical problems cover the following situations such as legal issues which mention that the set rules are followed by the business to enhance the relations with the employees as when there is a lack of privacy in the software used by the business then employees are not interested to be a part of it. The ethical dilemma related to the privacy, lack of ethics in an organization develops a bad image of the company in the minds of consumers. To develop the good understanding about the situation of ethical dilemmas in information and technology industry there is taken a case of early launch. In this case, there is involvement of two persons which are CEO and project manager. Here, in this case, the CEO of the company asked the manager to deliver the software early as there is the contract to deliver the software in 6 months. But the CEO wants the early launch of software without any encryption and security involved in software. This decision of CEO put the manager in the situation in which he faces the ethical dilemma regarding which option is opted by him or which is not. The ethical dilemma involved in this case is involvement of moral and ethical values. There are available three options with the manager to deal with the ethical dilemma. The first option is that the manager comes under the pressure of CEO and started doing what is told to him and delivers the software without any encryption. But there are faced various critical issues in it such as launching the software without any encryption will lead to leakage of the data of the consumer which is very significant and can be misused if it enters into wrong hands. This also results in not following the ethical techniques by the manager as it is the duty of him to follow all the ethical and moral values. The consequences of developing software without encryption are faced by both the companies and the person who develop this. It covers loss to the company in the form of decreased reputation and losing of loyal consumers as it is unethical behavior. The consequence on the employee is charging legal penalties and sometimes imprisonment. The other option available with the manager is to influence the CEO about the fact that the security in cases of software is vital and software cannot be delivered without such security as there are various risks by following this. Hence software cannot be delivered early. The decision of manager has the worst effect on its job application as by doing this there are increased chances that CEO will terminate the manager. The action of manager is also inconvenient as the other team members will follow the instructions of CEO only. The third option is not to early launch the product without the encryption as it is unethical behavior and leads to losses and taking the cooperation from the team members (Riivari, et. al., 2012). The ethical dilemma is solved by the manager in his way by complying with the ethical values and beliefs. The manager adopted the third option in which there is involved the cooperation from team workers and ethical beliefs. Here the manager asked its team member about the development of software with encryption before one month early time period. There is given an impossible reaction with the team which involves the manager with the decision that there should not be delivered software without encryption and ethics are followed. The result of such decision is helpful for the business as it helps in gaining customer satisfaction even after the delay caused. Hence it is concluded from the above that there are faced with the business various ethical dilemmas in which an employee has to choose from the variety of situation that what is right or wrong. The option which is unethical is solved and applied easily while the other option which is morally right involves various complexities. Hence it is proved from the above case that dilemma is faced in the business but it can be solved only by complying ethical values as it is hard to be applied but the results are very satisfactory and result in long term achievement of goals (Floyd and Arthur, 2012). In this report, I have selected the “Our Commitment to Net Neutrality” topic and discuss the actions, issues, rightness & wrongness, virtue and legal contracts that are taken by the net neutrality based telecom organization like Amazon, Google etc. Net neutrality is a concept that derived from telecom organization that has been working since twenty century. Net neutrality has designed the internet with two different fundamentals. This report is divided into six sections, first is an introduction that defines the net neutrality, second is Utilitarianism that defines the actions and decision of net neutrality, the third section of this report defines the deontology, virtue and legal contract are defined in the fourth and fifth section of this report and the last section is the conclusion. The net neutrality is the guiding principle for the internet that preserves the online communications. It means the internet enables and protects the online communication. Here, I will discuss the net neutrality action and decision or issues. If the internet does not has net neutrality than it is not really the internet. Actions and decisions: The FCC takes some actions to save the net neutrality from the issues like Security and privacy. A number of the companies and tech celebrities were united against the FCC to restore the internet freedom. 1. Action to oppose the protest: The large telecom companies like Verizon and Comcast had wanted to reduce the rules of the net neutrality. In the marketplace, the internet has been allowing them to more competition with resolve the security and privacy (Velasco, 2017). 2. Actions against the attackers on net neutrality: the mobile phone and cable organization have adopted the rules of the net neutrality. The actions are taken to help the case defending argue with the FCC on June 14, 2016. The federal appeal court provides the protections to open-internet communication with all respects. 3. Chairman Pai has wanted to replace the rules by unpaid conditions. To reduce the strong rules many of organization is taking the actions and fight (internet, 2017). 1. The users must access the lawful or legal content from the internet with their choice. 2. The user must run the allowed application or services with their choices. 3. 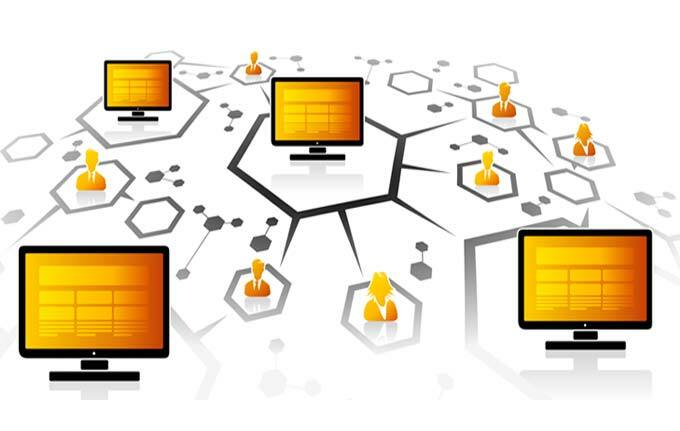 If the user wants to connect their devices to the internet than these devices should be legal devices that do not harm the network. 4. The user should enjoy the struggles among providers of network and the application or services & content providers (Radia, 2017). The ethics of the deontological about the action consequences has been almost predictably coming with extraordinary cases. The court has not to give the right to violent attack, for example, the chairman may be facing the unconventional destruction from any of user (Rein, 2017). The net neutrality has been used to prevent the giants of the internet such as Verizon, Comcast from the large network of the companies of the web like Dropbox and Netflix. The network neutrality is the basic principle that promotes the communication without any restriction. If the organization provides the net neutrality without restriction it creates a problem that is called wrongness. With this rule, the security and privacy issue occurs. 1. Security issues: the messages of the users are not secure and attackers can easily attack their secret communication. The scienter occurs in the network that is a legal term of wrong doing or wrongness in the net neutrality. 2. To understand the wrongness of net neutrality I have taken an example if a person wants to sell his car to his workmate and the brakes of the car are not working properly and he has not known that then it will be scienter (Cram, 2012). There is a different type of issues and ethics which are involved in the net neutrality. Telecommunication companies and the federal communication commissions have a constant battle between them over the topic of the net neutrality. Internet Service Providers are creating obligations in providing data equally. Whereas the FCC is continuously in the mode of regulating the internet because according to them it is not the field of level play. Telecommunication companies want the content provider so that there cost of the broadband that they supply can be recovered easily. In one way, if the net neutrality is preserved then it is going to benefits the most persons. But it is going to be for short scale. FCC’s supporter thinks that the telecommunication companies are trying to suppress the smaller companies. So, by taking the help of utilitarian point of view this problem can be solved in an easy manner. Social utility is in demand by utilitarians which they want to maximise it. Telecommunication Company thinks that if they are charging extra money than they are doing it so that people’s freedom speech can be protected. Whereas FCC is doing it so that they can regulate the internet so that it can be beneficial to all of its user. So, after weighing both the circumstances, majorly the user is going to be in benefit when net neutrality is going to be action. So, telecommunication companies have to step behind although they have to lose utility and power up to some extent (Weidman, 2015). As per the guidelines of the BEREC net neutrality is implemented by the National Regulators of European Net Neutrality Rules. In this contract, different rules are drafted which are in accordance with the article 5(3) of Regulation (EU). Through this, the proper guidance can be provided to the duties of NRAs. All these are done to provide the nondiscriminatory and equal treatment to the internet access. These guidelines are going to constitute the recommendations to the NRAs. Also, NRAs are going to take care of the guidelines. Through these guidelines, consistent use of the regulations can be provided for the stakeholders. Through this contract, the open access of the internet can be a safeguard. This thing is mentioned in the article 3. In the article 4 transparency measure has been discussed through which they can provide open internet access. And in the article 5 discussions is based on the supervision and enforcement. All the penalties are discussed in the article 6. All the transitional provisions are discussed in the article 10. Through all the article stakeholders and the user may know the details of the contract that are made by the BEREC (BEREC, 2016). In this report, I have done the research on the topic of net neutrality which is given by EU. In this report, I have discussed different factors which are causing trouble in implementing net neutrality. With this, you can understand the ethical issues of the net neutrality, actions & decision and the rightness & wrongness of the net neutrality. This report also presents the legal contracts of the net neutrality that are taken by the number of the telecom companies. There are two main ethical issues that are a concern by the organization that is given as security and privacy. It is concluded from the above report that ethics plays a key role in the business environment and the dilemmas are faced by the employees in the business. It is proved that there is selected the best option which is ethical and it will help the business in long run.